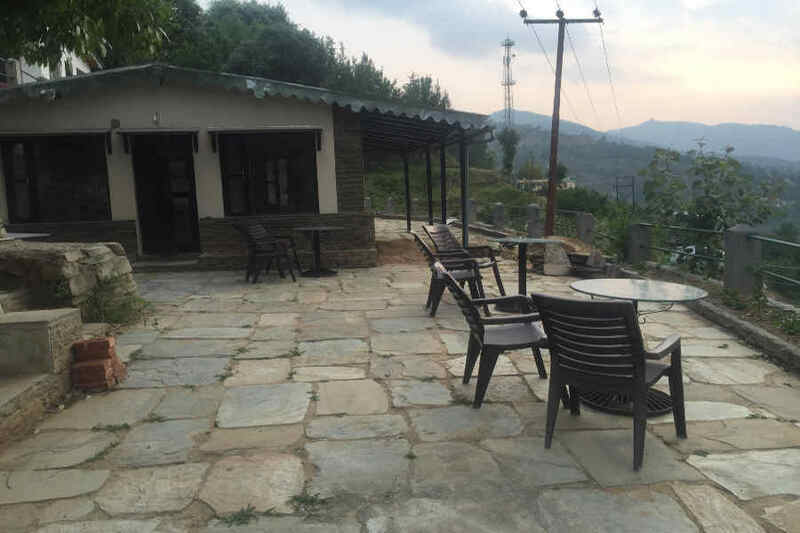 Use the form below to inquire about Mountain Resort At Nathuakhan . Use the form below to reserve for Mountain Resort At Nathuakhan . 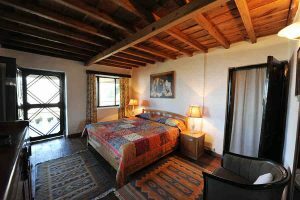 These are spacious rooms with a double bed, private sit out and en-suite bathrooms. 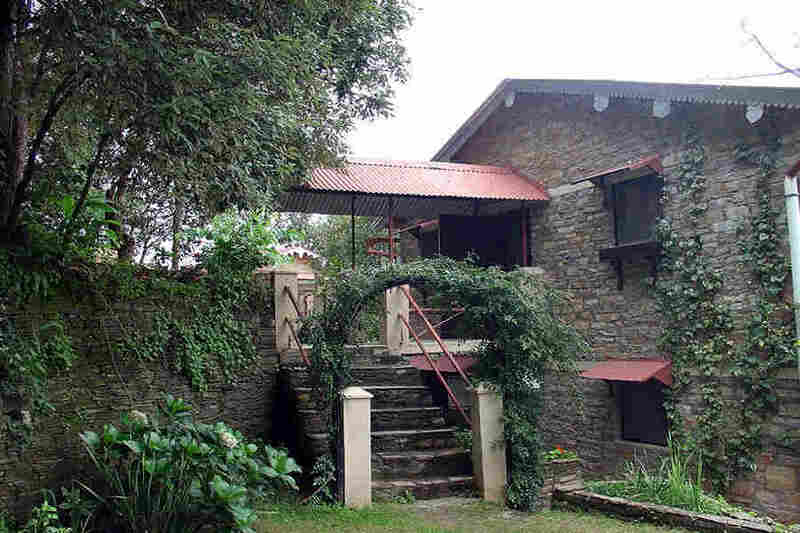 Take in breathtaking views of the Himalayan range as you vacation at this picturesque Mountain Resort At Nathuakhan. 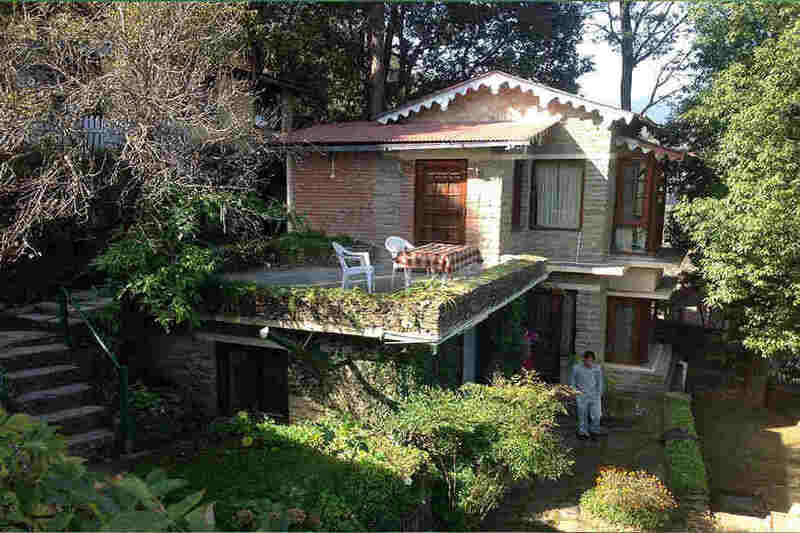 Situated at an altitude of 6,400 feet, this Mountain Resort At Nathuakhan epitomizes the term ‘Living in the clouds’. 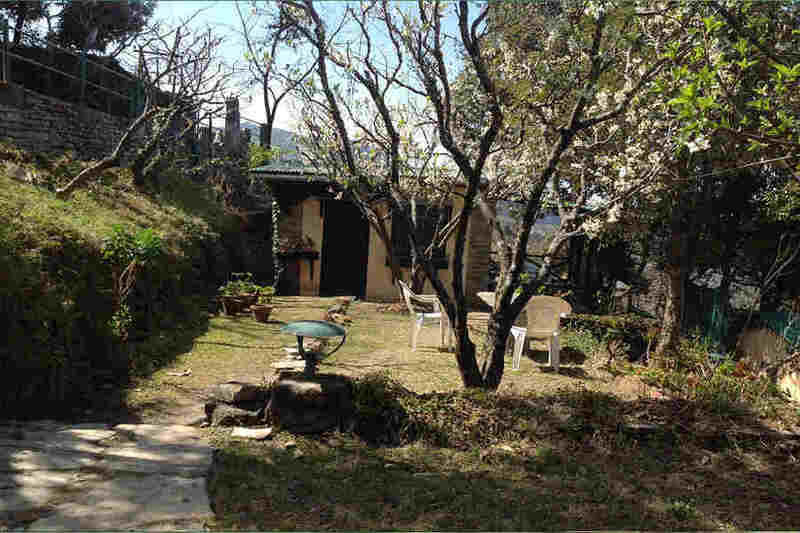 Tucked away amidst the Kumaon mountains near Mukteshwar and Nainital, this peaceful resort is surrounded by an orange orchard. The property is ensconced by terraced gardens and numerous varieties of flowers in different hues while in summer you get to pluck fruit fresh off the trees. With it sloping roofs with wooden beams and stone facades, the cottages at this Mountain Resort At Nathuakhan are reminiscent of the colonial style of architecture. Stone paved walkways connect the cottages and meander across the grounds. The huge glass windows in every cottage offer vantage view points across the property. The interiors of all rooms are comfortably furnished with wood furniture and cheery furnishings such as curtains, rugs, and decorative pillows. A fireplace and cozy seating nooks complete the picture postcard scene. Buffet meals are served at this resort and feature Indian, Chinese, and Continental cuisine. You can choose to enjoy your meal in the garden or in the open air overlooking the valley and the hills beyond. 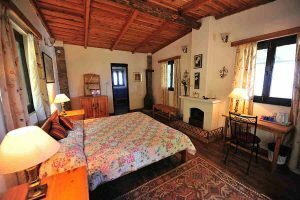 There are seven Deluxe Rooms and one Suite at this Mountain Resort At Nathuakhan divided among five stone and wood cottages across the spacious property. 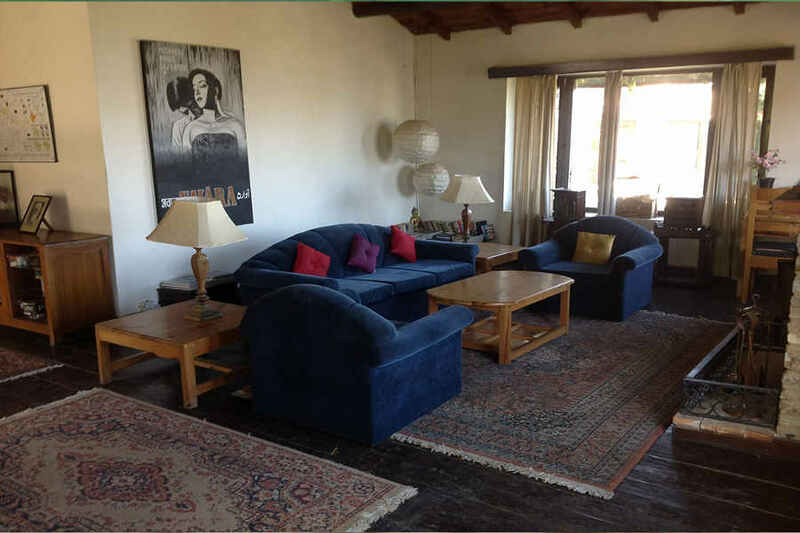 All cottages come with private sit outs and a lovely garden each while some bedrooms feature fireplaces. On a clear day, you will be able to enjoy spectacular views of the snowy Himalayas from the comfort of your room as you sip a hot cup of your favorite beverage in the sit out. At other times, you can gaze upon the undulating hills and wooded valleys all around the property. The ideal spot for some rest and relaxation as you breathe in the pristine mountain air! If you simply don’t want to step outside the boundaries of this mountain resort, then you can keep busy with an interesting book from the well-stocked library or choose a DVD to watch in the comfort of your room. A variety of indoor games are also available such as chess, darts, pool table, carom, table tennis, and other board games. For nature lovers, there are plenty of walking and trekking trails to choose from. This way you can get to Sitla or Mukteshwar which has a shrine to Lord Shiva. Another route is the hike up to the Dev Bhoomi Shrine at Bhallar. If adventure is what you are looking for, try the rappelling or rock climbing at Mukteshwar. This can be arranged if you lodge a request with the management in advance. There are also some NGO-run shops at Sitla and Peora where you can find pickles, jams, oils, shawls, stoles, and tea cozies for sale, made by the local Kumaoni women. Locally made chocolates including sugar-free kinds, are also available in the town. Pantnagar Airport is the closest at 95 km while Dehradun Airport is at a distance of 330 km. Indira Gandhi Airport, New Delhi, is about 345 km away. Kathgodam is the nearest railway station at 68 km while New Delhi railway station is at a distance of 330 km. Nainital is at a distance of 43 km and Bhimtal is 41 km, both along the Bhowali-Ramgarh-Mukteshwar Road while Almora is 38 km away via NH109.